All martial arts claim to be able to teach a student to be able to fight their way out of dangerous situations, but martial arts were not all created equal. 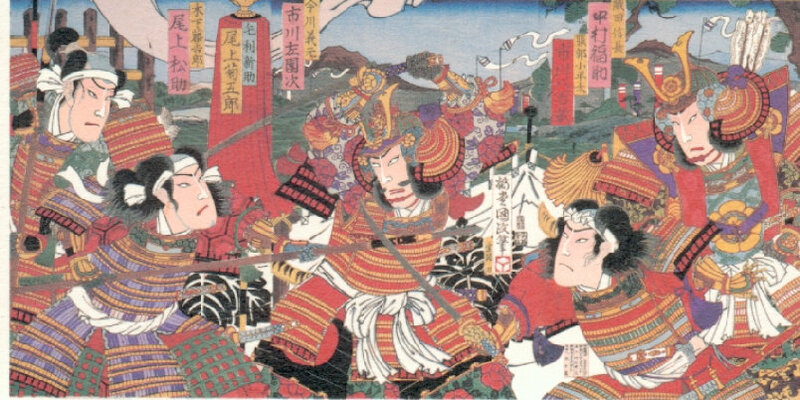 Some arts were created by professional warriors, such as the samurai and the ninja, while others were created or developed by farmers and fishermen, such as the art of karate. Clearly the professional warriors could develop more and better skills than the part-time martial artists. Martial arts such as karate were created for basic self-defense, while warrior arts were created for the most dangerous situation in life: warfare. Training in a wider range of categories and techniques, warriors are far better qualified to handle any life-threatening situation. These warrior arts, known as bujutsu in Japan, are different from the budo, the modern martial arts. The budo are usually watered-down, less effective versions of older warrior arts, and include arts such as judo, aikido, karate-do, kendo, iaido, etc. These new arts were created as simple self-defense methods or sports for commoners. They lack the depth of knowledge or the categories of training that the warrior arts have. The bujutsu were created by professional warriors (samurai and ninja) and were developed over the centuries on the battlefields of Japan. The bujutsu taught at the Kocho Dojo are much more effective, efficient and comprehensive than the overly simple ‘self-defense’ budo arts that have been created over the last 100 – 200 years. Most Budo emphasize sport training, which has little to do with real fighting, and solo kata, which are sequences of movements practiced ‘in the air’ against imaginary opponents. Sport training has rules and develops bad habits for real combat, which does not have rules. Real combat involves a flow of energy between two (or more) people, and katas do not effectively develop the skills necessary to manipulate that energy or a human body. In the Bujinkan, techniques are practiced on real people to develop practical “hands on” experience. Budo training is easier, and combined with the trophies won through ego-building competitions, will certainly always be more popular with the masses. However intelligent people will be able to see that the more effective skills, insights, and knowledge of the bujutsu are well worth developing, even though these real warrior skills require more time and effort to develop. The Kocho Dojo offers training in authentic ninja and samurai warrior arts. The head of the Bujinkan organization, Dr. Masaaki Hatsumi, is the soke (grandmaster) of nine traditional warrior arts. Most of these arts are ninja martial arts, but some of them are samurai martial arts, so training in the Bujinkan covers all aspects of the best warrior arts of Japan. Most modern budo are taught in a very commercial environment and are stripped almost entirely of any martial philosophy. It has become almost common, due to the lack of philosophical/spiritual training, to see many budo stylists that have big egos and bad attitudes. However, Bujinkan training develops the spirit through a philosophy/’way of life’ called Ninpo. This method emphasizes developing the strength of spirit that enables one to see through the fears and illusions of life and understand the natural workings of the universe, so that natural wisdom results and leads to peace of mind and genuine joy. We take the insights gained through mastering the art of Ninjutsu/Ninpo as well as samurai bujutsu, and apply them to our own unique lives, resulting in countless benefits. The Bujinkan Kocho Dojo is run in the manner of a traditional Japanese dojo and offers thorough instruction by a shidoshi with 30+ years of experience in the Bujinkan.